and set the seven-bit candle stick, centre-piece. the hour is late. the chairs stand empty. I go into the streets of the old town. where whores hang their red lights. while the ocean churns in his gut. and does not divine laughter from the well. his tears sucked by the sun. sat beside his mother’s body. The table waits. the candles are lit. drums strike the coming of the groom. strung on the studded belt of Capricorn. the rocks crack in pistol shots. the cattle of the heart. as camelthorns, these old ones. purple the lip of the tree. their raindrop shapes on petals. they tap their sticks in exclamation. in the freak floods that filled the papers. flings its fine sand into faces. to the lone songololo scurrying. and spit the first drops into the dust. they divine a season of good storm. 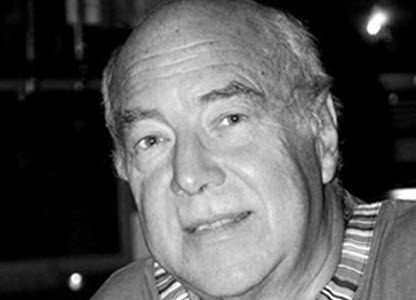 Dorian Haarhoff (1944- ) a South African/Namibian poet, facilitates creative writing, and story-telling wordshops and acts as a one-on-one writing mentor. In a past life, a Professor of English Literature (Namibia), Dorian now tinkers his trade in the street markets of the world. Mythology, creation spirituality, whole brain theory, the new Physics, narrative therapy, Ubuntu, Eco and Jungian psychology and the poetic tradition influence his writing and work. Passionate about developing innate creativity and imagination, he believes in the power of poetry to create new realities. He has been participating poet at Poetry Africa, SA and at the International Poetry Festival in Colombia, South America. The Colour of Water, Children’s Radio Drama Serial. Namibian B C, 1993.